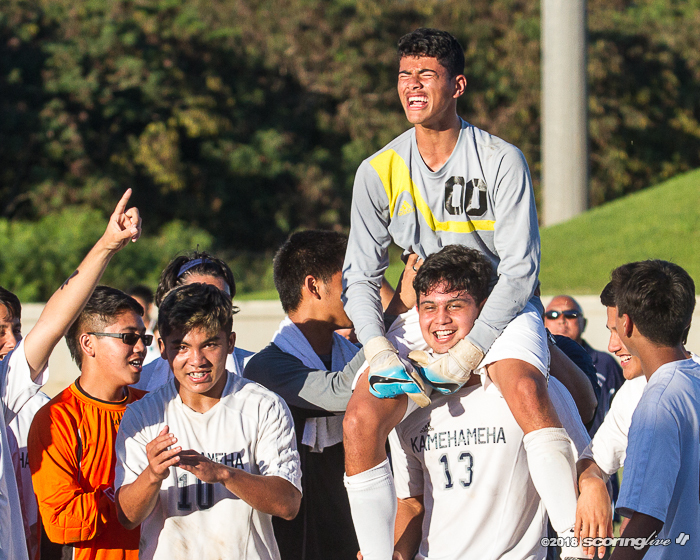 WAIPAHU — The top two seeded teams will meet in the final game of The Queen's Medical Center/HHSAA Division II Boys Soccer State Championship Saturday. Kamehameha-Hawaii, the No. 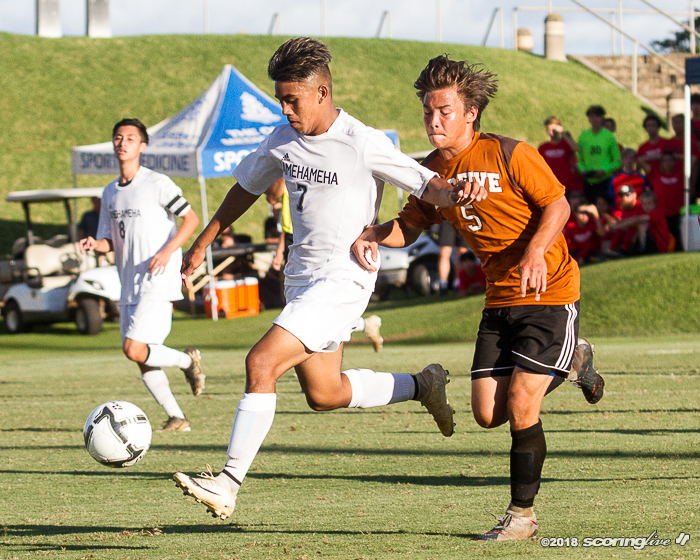 1 seed in the eight-team tournament, will try for its first state crown when it takes on second-seeded Kapaa at 5 p.m. at the Waipio Peninsula Soccer Complex main stadium. 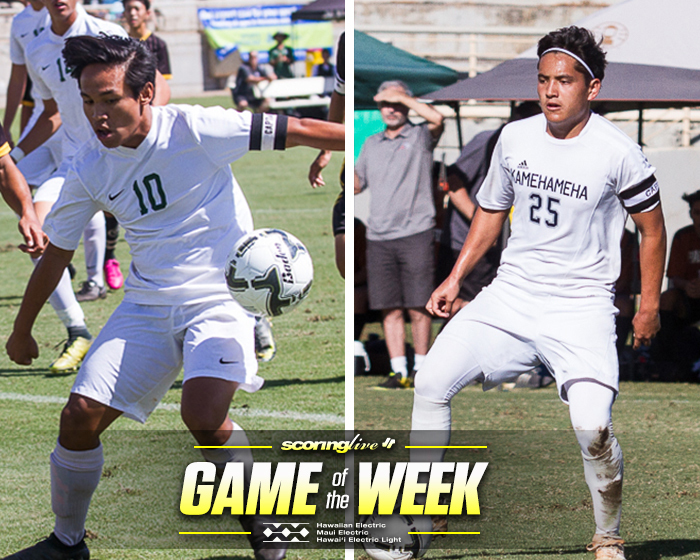 KS-Hawaii (13-1) snuck by PAC-5 in penalty kicks, while Kapaa (9-2-3) routed McKinley, 4-0, in Friday's semifinal round. 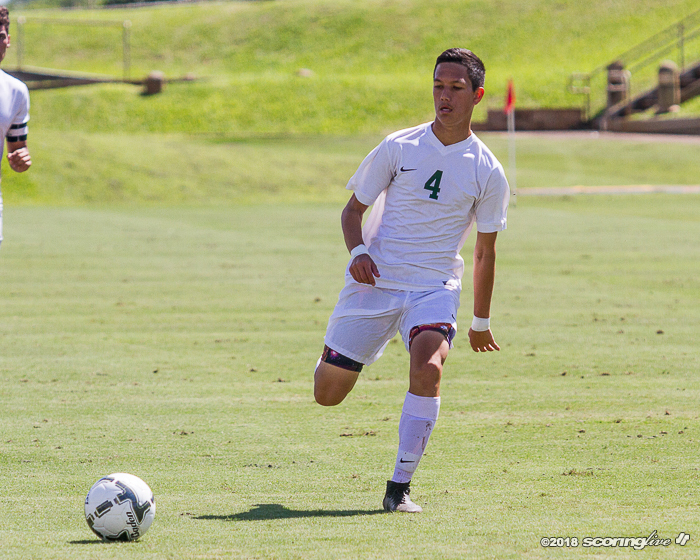 The Warriors from the Big Island are led by junior center-midfielder Jonathan DeMotta, who has scored a team-high 20 goals this season. 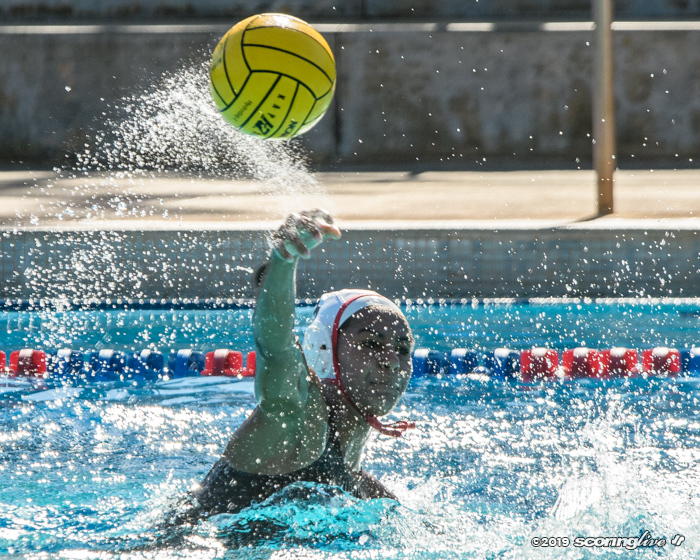 Sophomore Buddy Betts and senior David Erskine have amassed 16 and 15 goals, respectively. 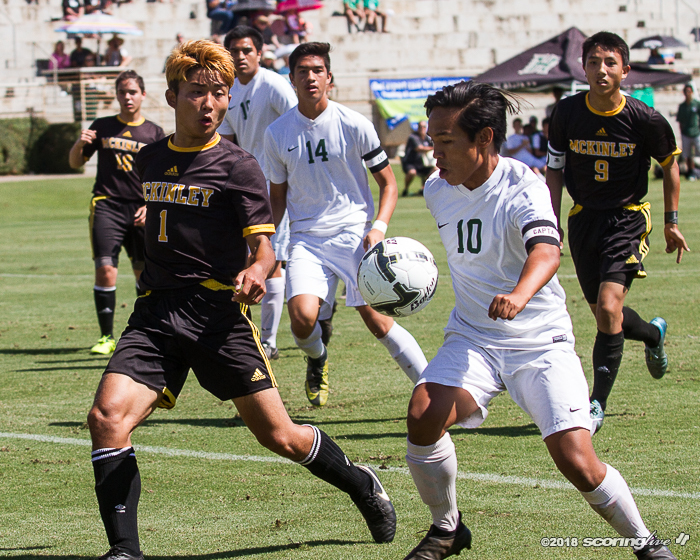 "We like to play quick attack," first-year coach Kevin Waltjen said. "We like to play the wings, try to control the middle, and send it either to the wings or through balls, and that's what they were looking for (Friday)." 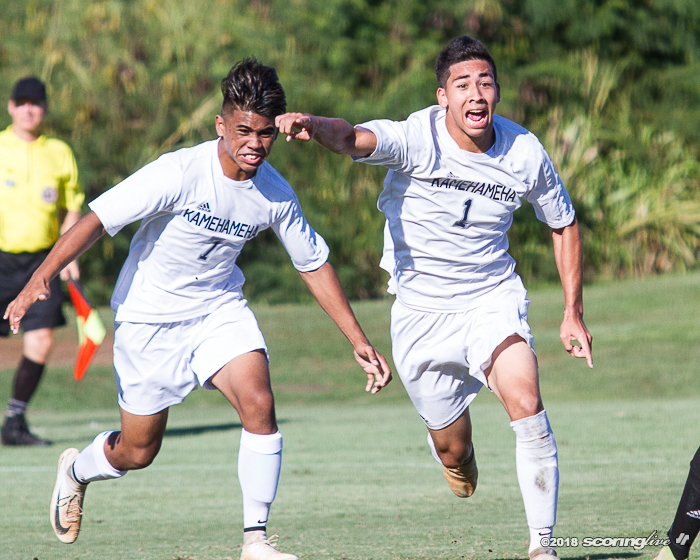 KS-Hawaii has won 13 consecutive games since a season-opening 5-2 loss to Hawaii Prep — which will try for its first D1 state title when it takes on Baldwin at 7 p.m. Saturday — on Dec. 7. 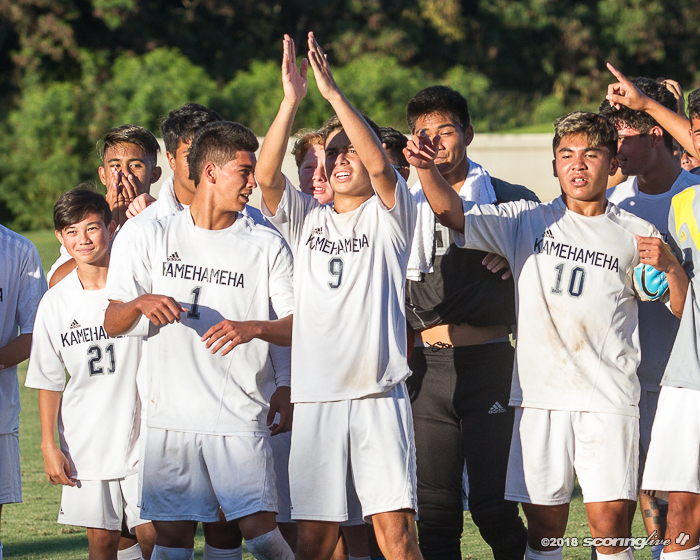 "We know HPA is always a strong team and for Kamehameha to play them close and that be their only loss, they're going to be the team to beat," Kapaa coach Kevin Cram said. 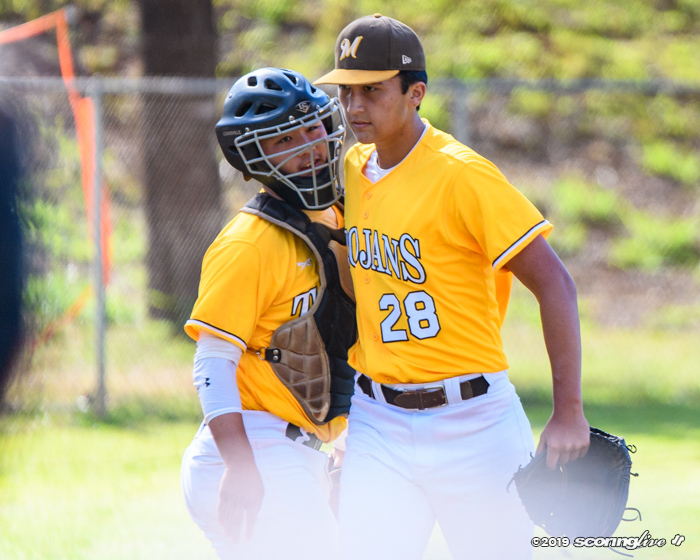 After qualifying for their first state tournament in three seasons, the Warriors from Kauai will be playing in their sixth D2 state final since 2008. They capped their 2009 and 2013 seasons with championships — both under Cram, who spent 10 years as the boys' coach prior to a two-year stint coaching his daughter and the girls' program. 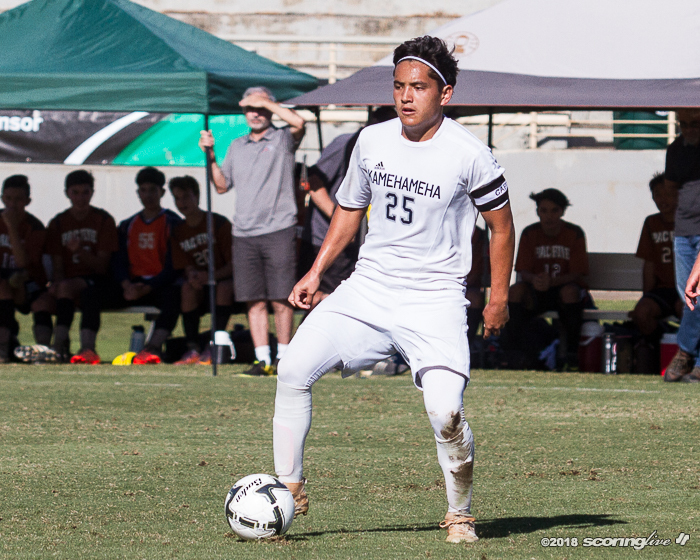 Kapaa rebounded from a 1-2 start to the year, including back-to-back one-goal losses to Island School and Waimea back in late December. Since then, however, it has not dropped a game and has won four straight. 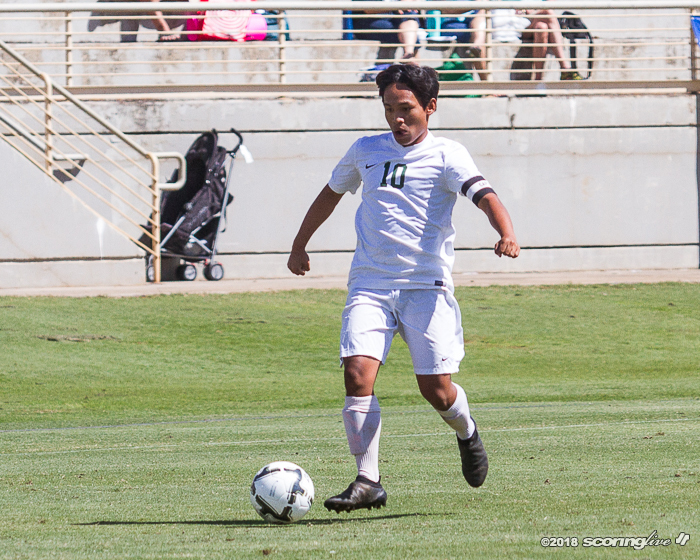 Senior forward Gabe Franklin leads the team with 11 goals scored, while junior Ryan Banasihan and senior Joshua Layaoen have chipped in six goals apiece this season. "It's a young crew overall. We have some seniors — we'll be losing four senior starters, well three, and one has been (a starter in the past) — but we do have younger kids and if they can learn the system, I think it bodes well for the coming years," Cram said. 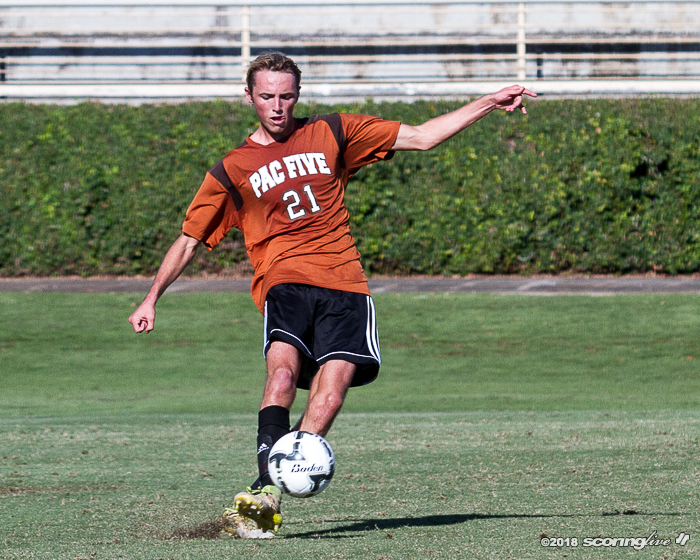 Kapaa's Gabe Franklin works the ball in the first half against McKinley. 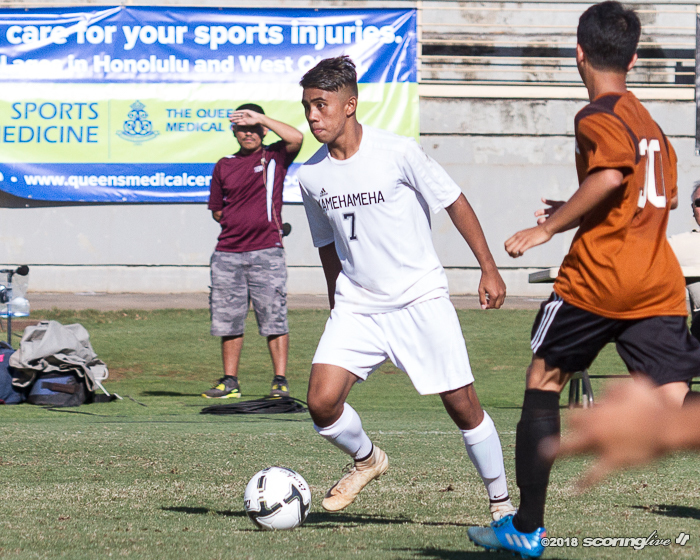 Four different players scored a goal, three of them after halftime, to lead Kapaa to a 4-0 win over McKinley in the early semifinal of The Queen's Medical Center/HHSAA Division II Boys Soccer State Championships at Waipio Peninsula Soccer Stadium Friday afternoon. 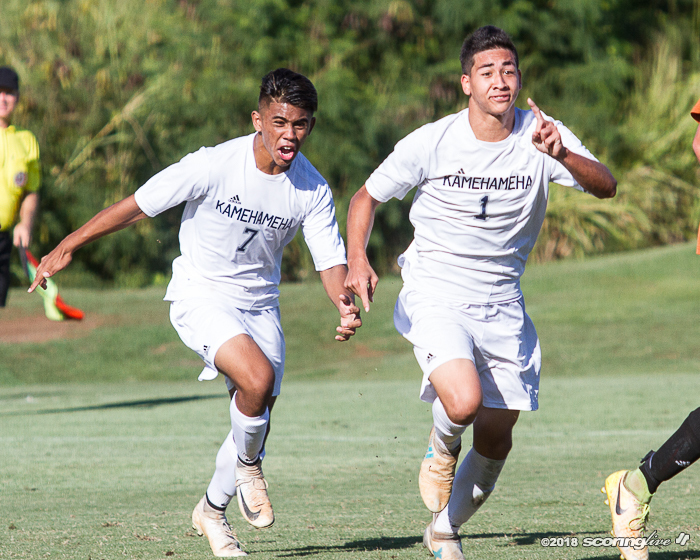 The second-seeded Warriors, champions of the Kauai Interscholastic Federation, improved to 8-2-3 and advanced to Saturday's state final at 5 p.m. 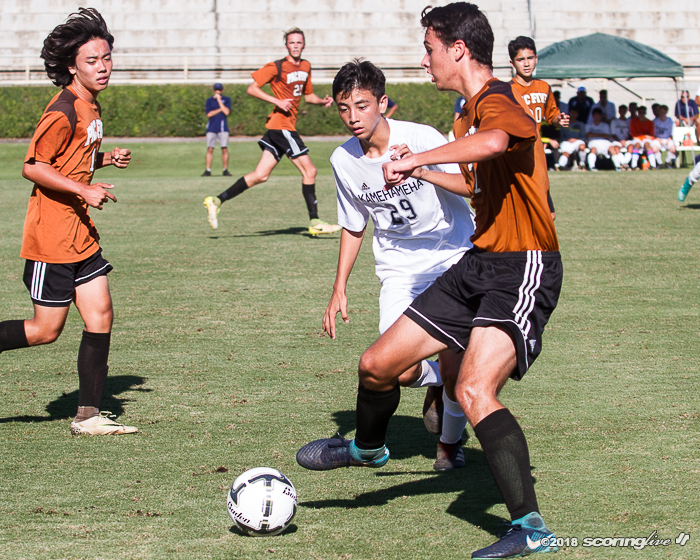 The Tigers, who were seeded third as the Oahu Interscholastic Association titlist, saw their four-game win streak snapped and fell to 5-9-1. 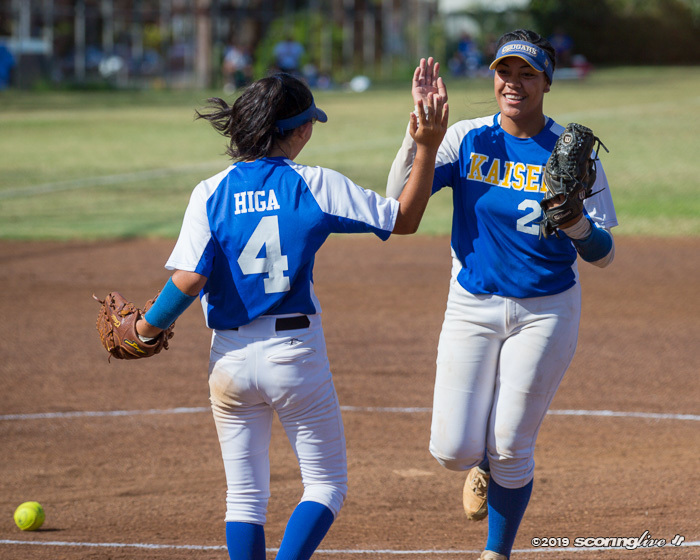 They will play for third place at 3 p.m. Saturday on Field No. 12. 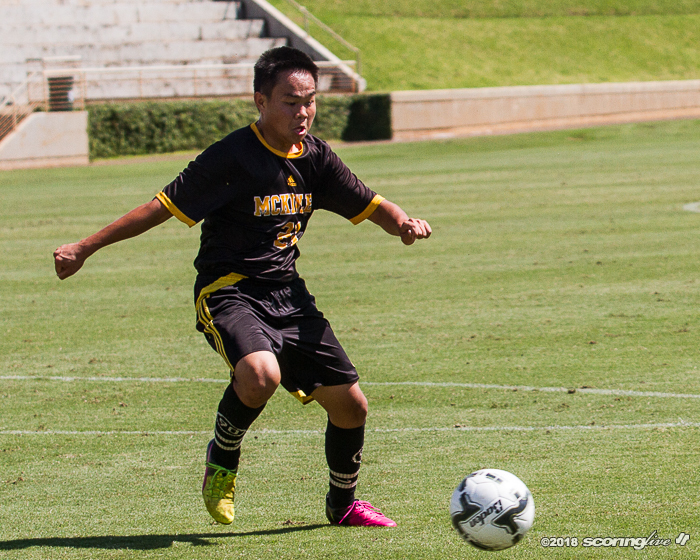 Jacobo Espi opened the scoring in the 27th minute, when his shot deflected off a McKinley defender and into the goal. It was his first goal of the season. 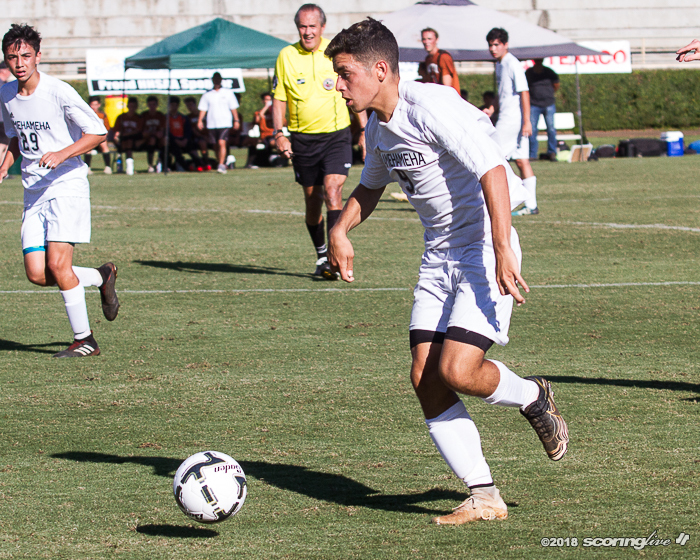 The score held until the 48th minute, when Gabe Franklin netted his team-leading 11th goal on the year. 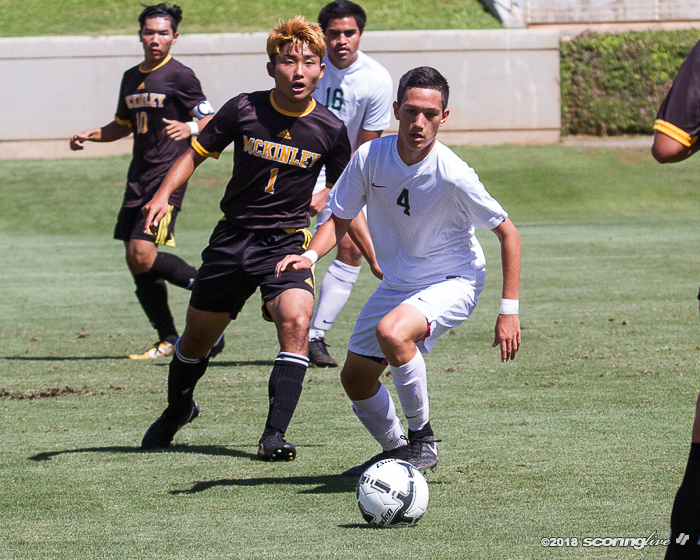 It was Franklin's second goal in as many days; he scored one of his team's six goals in a shut out of Waipahu in Thursday's quarterfinal round. 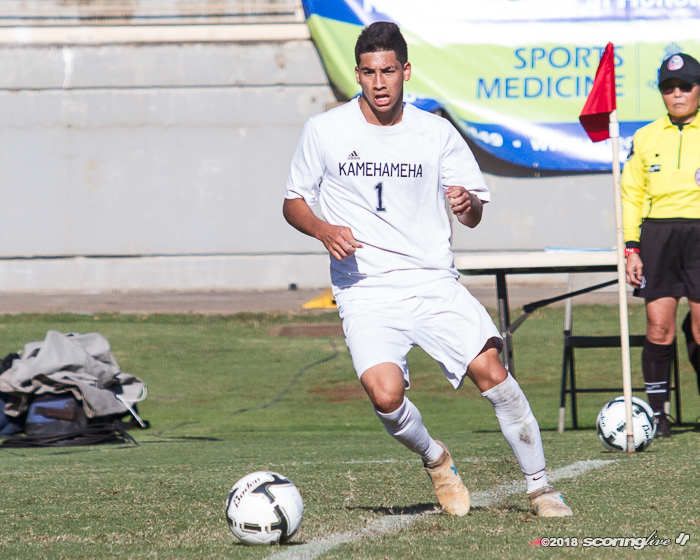 Just four minutes later, Sage Ioanna scored to stretch Kapaa's lead to 3-0. 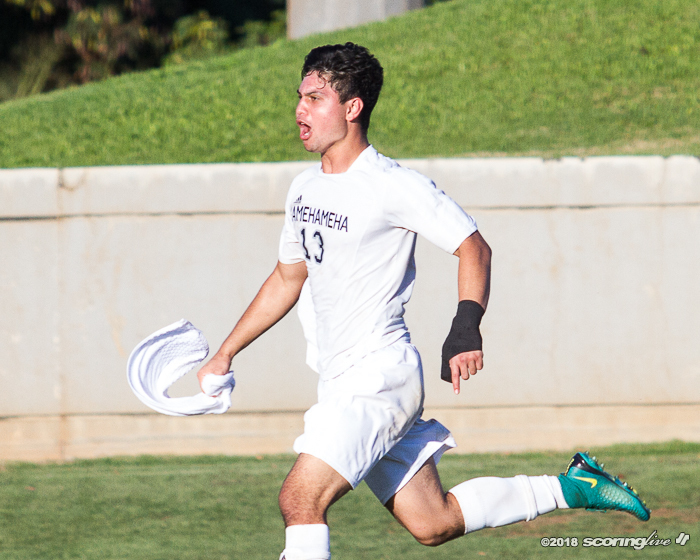 Warriors coach Kevin Cram said Espi's goal opened things up for the rest of the game. "We were waiting for the first goal to go in. We had a few opportunities, but it never materialized and then once it did go in, I think it allowed them to settle in a little bit and start playing more to their ability," Cram said. 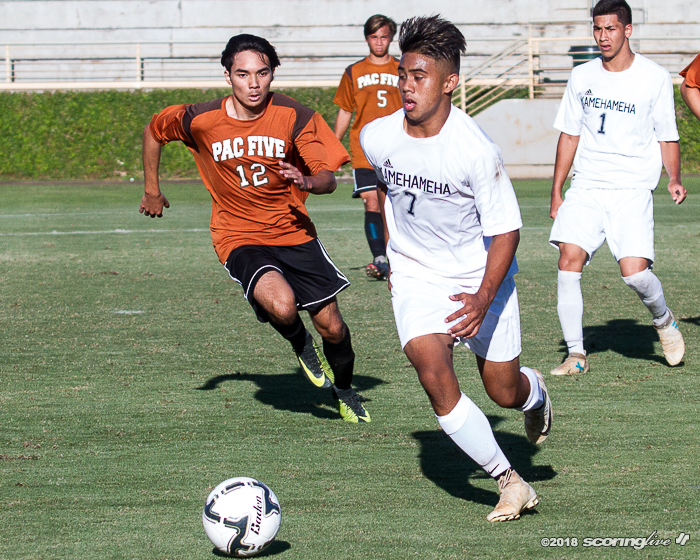 Kahanu Davis added a goal in the 76th minute go close out the scoring. 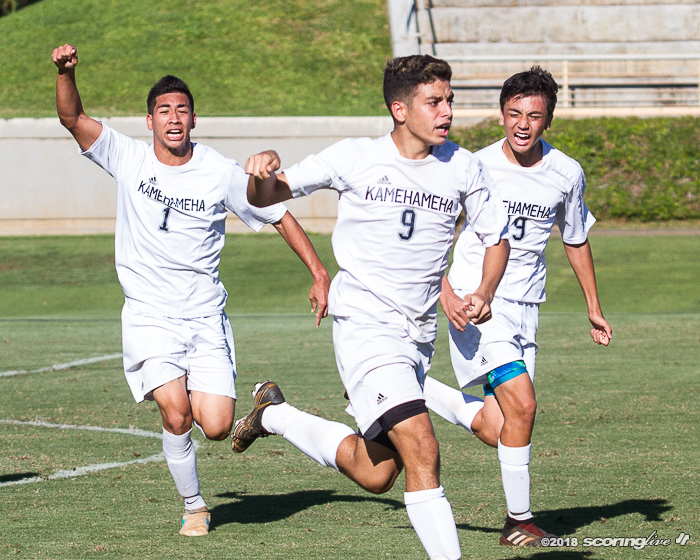 All four of Kapaa's goals came in the run of play and from inside, or near the 18-yard box. 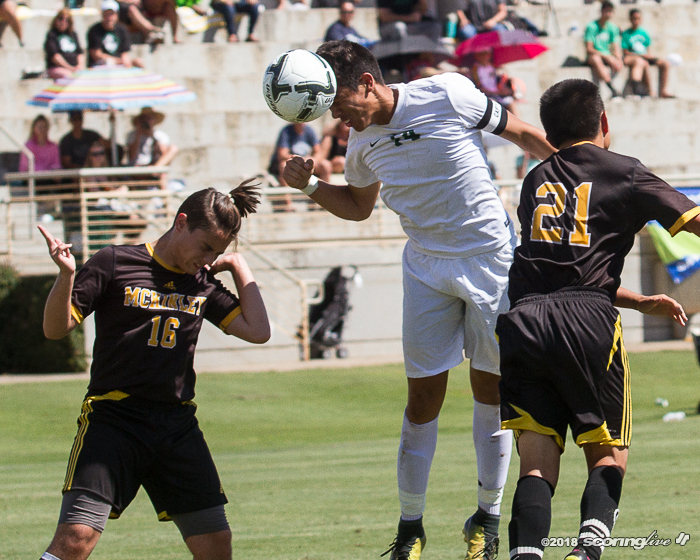 "We are more of an attacking, try-to-get-it-inside-the-box (style) and get the ball in," Cram said. "We're more of a finesse and less of a driven shot (type of team), though the third goal was driven, and so it was good to see that happen." 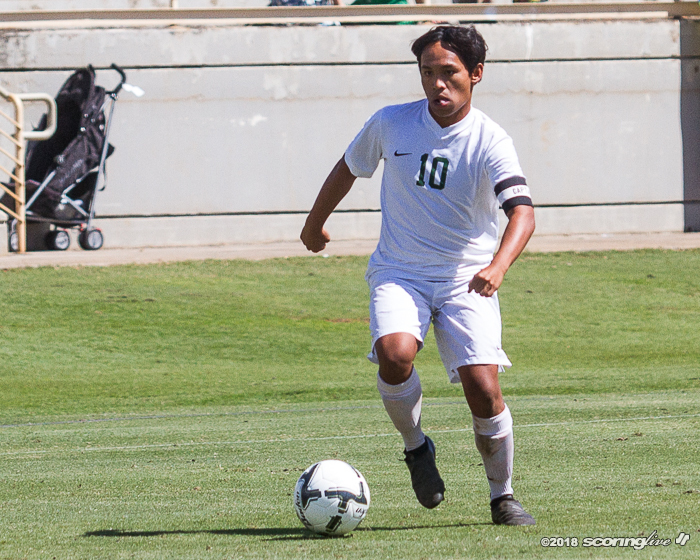 Through their first two state-tournament games, the Warriors have scored 10 goals — via six different players — and allowed none. 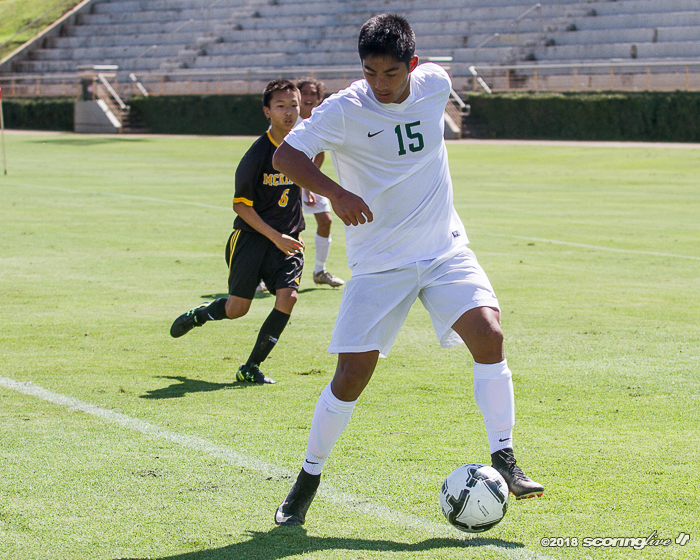 "Offensively, I think the tournament has opened up opportunities for other players. Through the season three, maybe four players have done most of the scoring, but here it's opened up and allowed others to participate, too," Cram said. Cram noted that the defensive third, however, is where the strength of the team lies. "We've been able to play two matches without being scored against. Our defense is definitely further ahead of our offense in the scheme of play; We're trying to get our offense to catch up," Cram said. 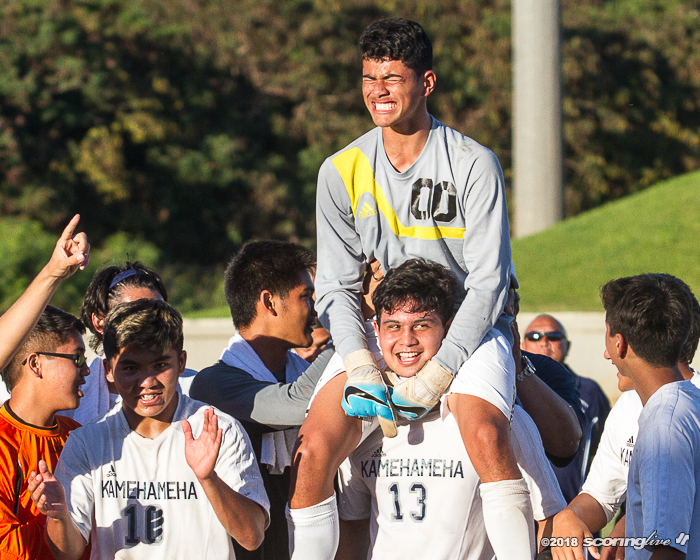 The Warriors thank their fans as reserve goalkeeper Jake Toci sits on the shoulders of Kamehameha-Hawaii's Kailikea Kekuawela. 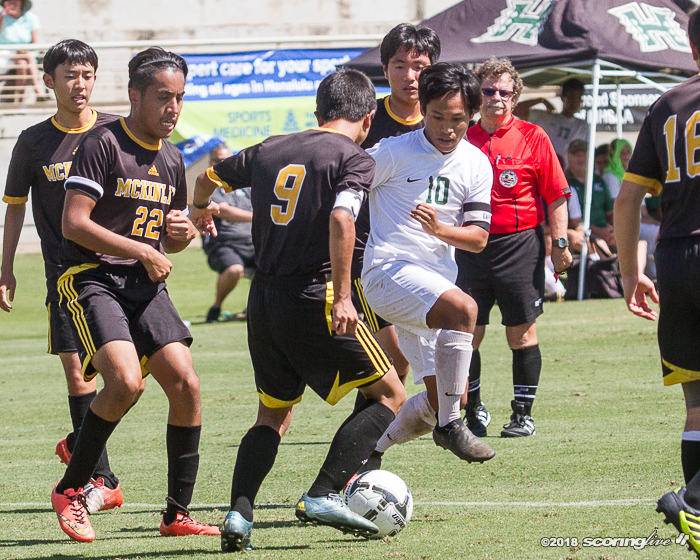 David Erskine scored a goal in regulation and reserve goalkeeper Jake Toci made a crucial save during penalty kicks to help top-seeded Kamehameha-Hawaii get by fourth-seeded PAC-5 in the late semifinal Friday afternoon. 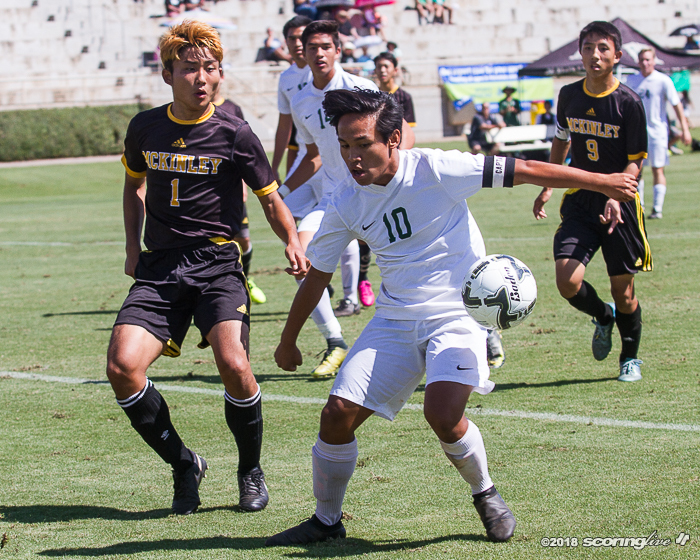 After a 1-1 tie through two overtime periods, the Warriors edged the Wolfpack in PKs, 4-2, to move on to Saturday's Division II state final. 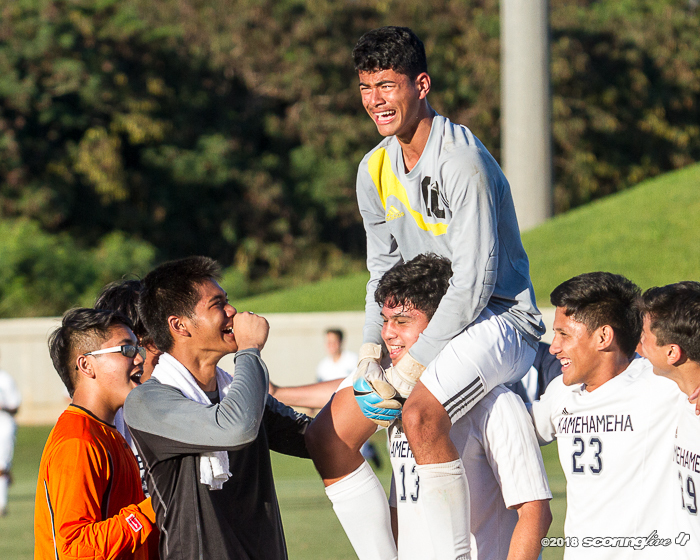 Kamehameha-Hawaii, the Big Island Interscholastic Federation champion, will try for its first state crown when it takes on No. 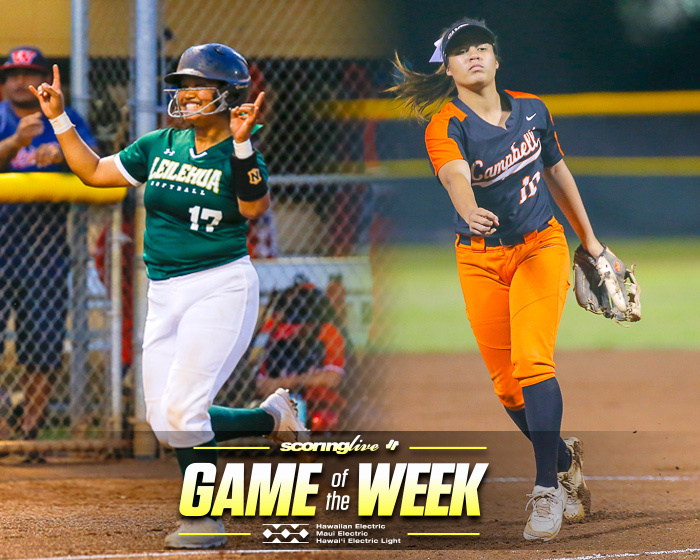 2 seed Kapaa at 5 p.m. Saturday in the Waipio main stadium. 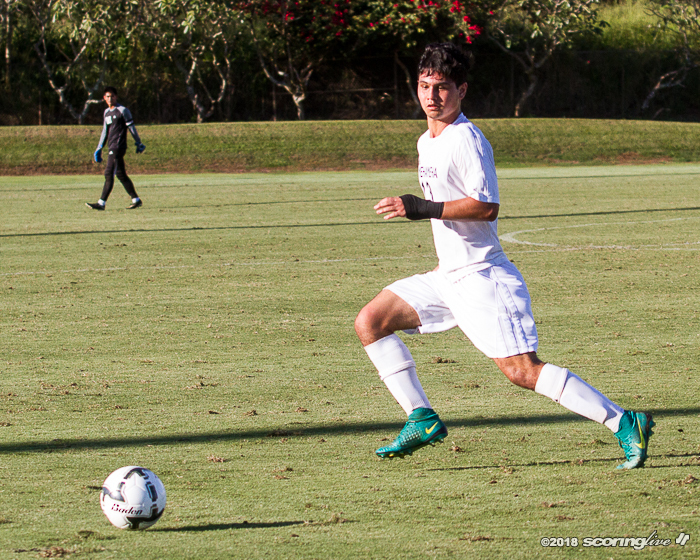 After a scoreless first half, Aiden Spagnoli converted a penalty kick in the 47th minute to give PAC-5 the lead early in the second. 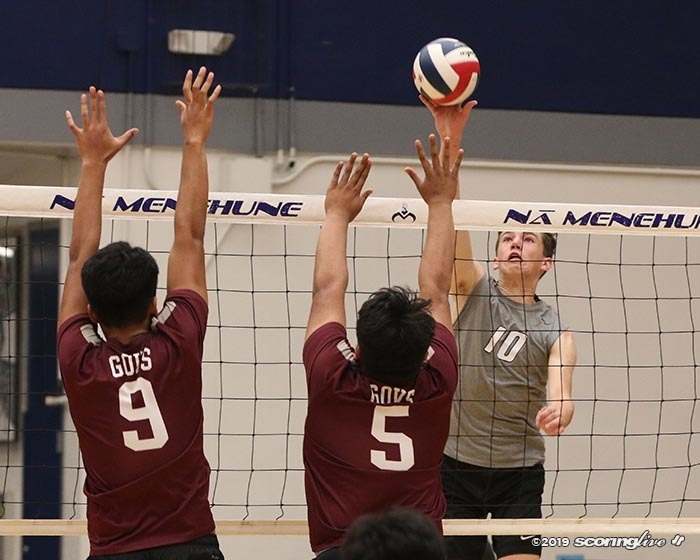 It was the first time the Warriors (13-1) trailed in a game since their season opener against Hawaii Prep — which, consequently, is the only loss they've suffered this season. First-year coach Kevin Waltjen said it was his team's maturity and composure that allowed them to come back from the deficit. "There's a lot of maturity, because from the beginning (of the game) you could see them with a lot of emotion and when they get into the emotional state, they all try to pull each other back in and try to keep their heads up. That was awesome to see," Waltjen said. 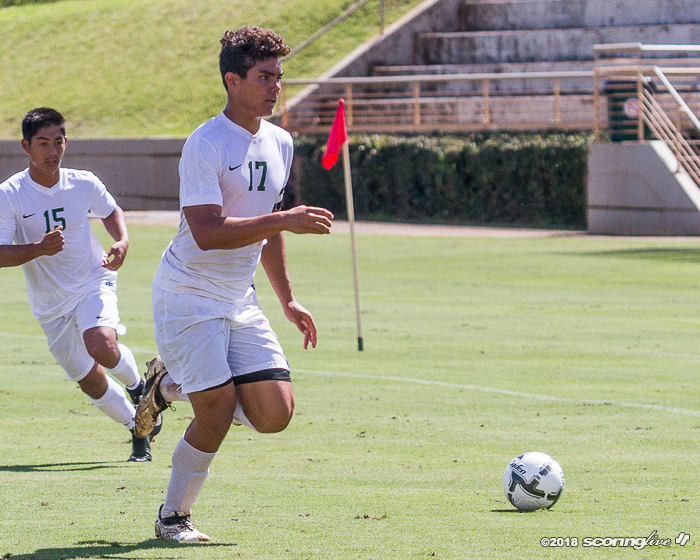 Kamehameha-Hawaii equalized just 10 minutes later, in the 57th minute. 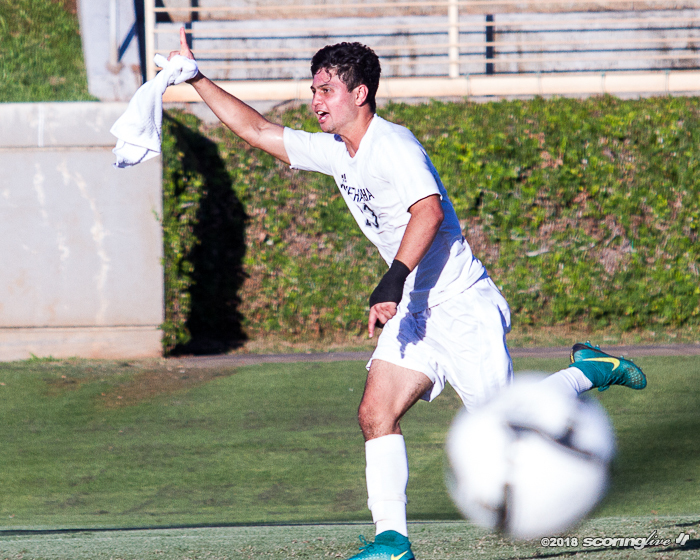 Jonathan DeMotta served a corner kick into the six-yard box, which was headed by Erskine into the goal. 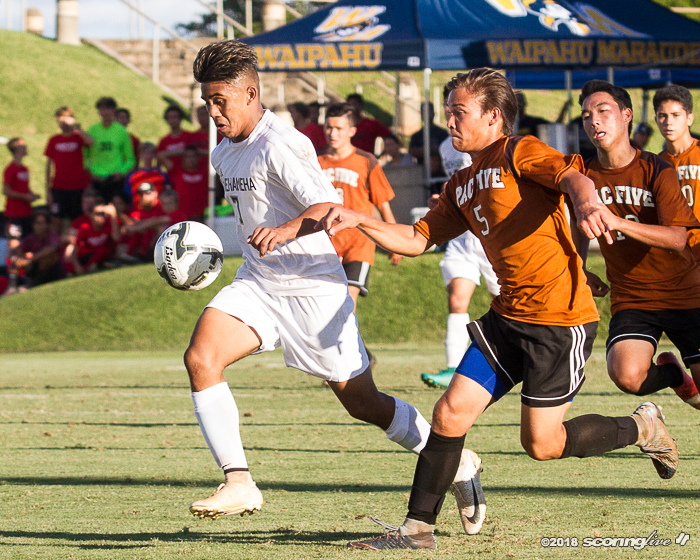 The Warriors had the better run of play for much of the match, especially in the final 25 minutes or so, but were unable to capitalize. 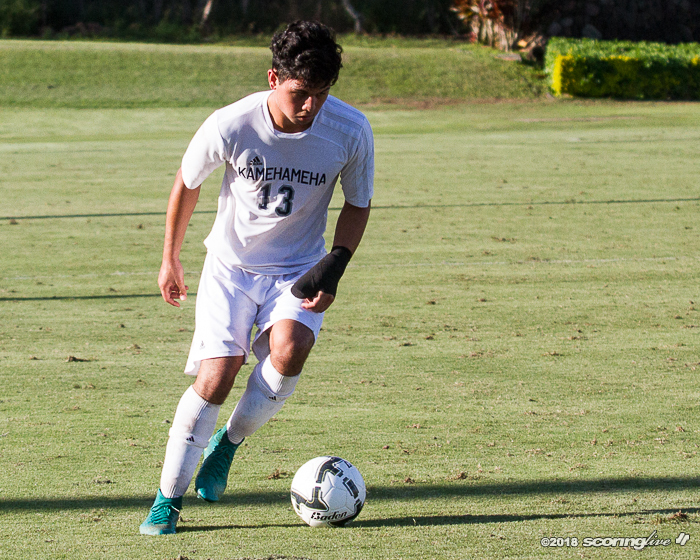 The match eventually went to PKs, but Kamehameha-Hawaii had an ace up its sleeve in Toci. 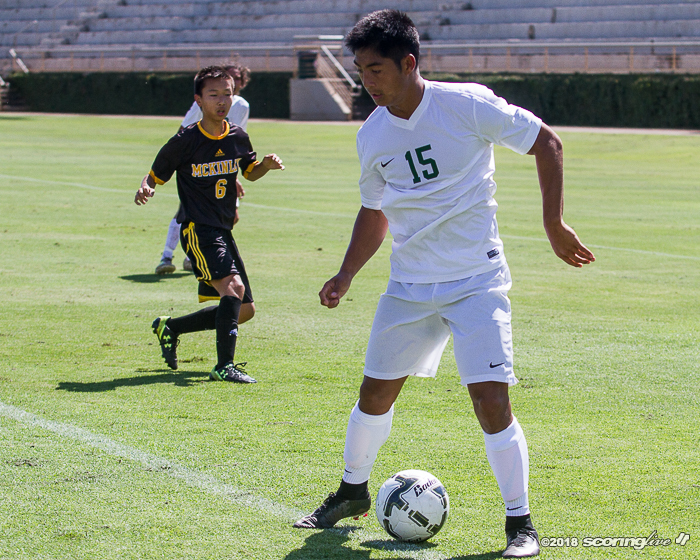 The sophomore replaced starting keeper Jameson Sato after the latter made an executive decision. 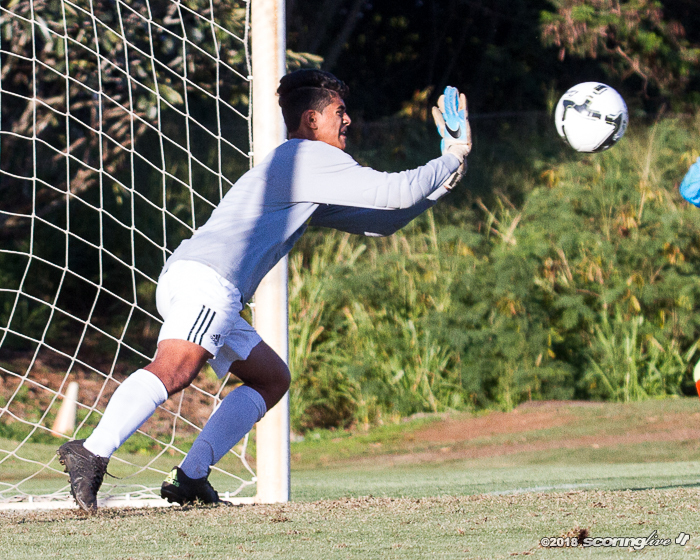 "Jameson is our captain of the keepers and he called up Jake and Jake stepped forward and stepped up to do the PKs, based off of Jameson's recommendation to say, ‘he's got it,' " Waltjen said. 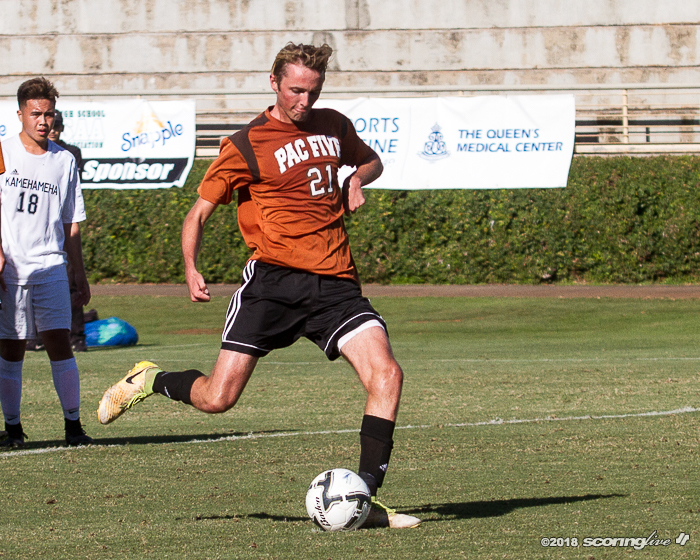 Furthermore, Waltjen's son, Tyler — himself a senior captain — selected the Warriors' shooters in PKs. "He pulled his boys in, called up who he wanted to and who was going to go and they stepped forward," the elder Waltjen said. 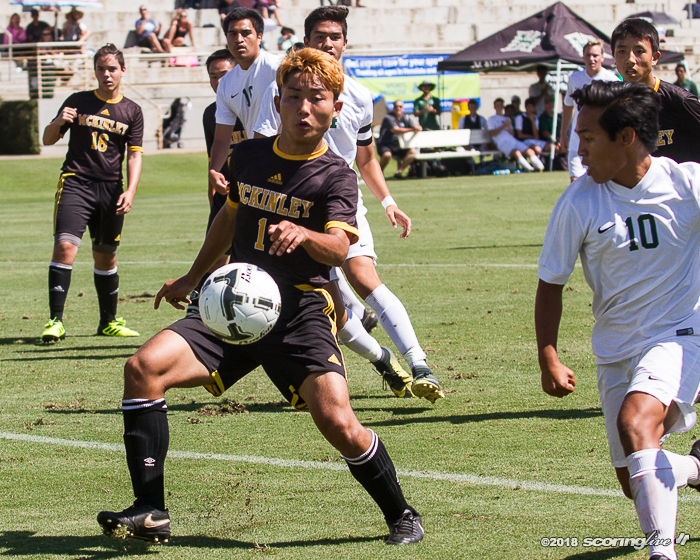 All four KS-Hawaii shooters — Tyler Waltjen, Justin Kenoi, Buddy Bettes and Rylan Respicio — made good on their PK attempts. Spagnoli and Coe Trevorrow put their PKs in the back of the net, but Toci punched away Racen Horita's attempt to give the Warriors a 3-2 lead after three rounds. The Wolfpack's fourth shooter, Jack Montgomery, put his shot off the crossbar to start the Warriors' celebration. 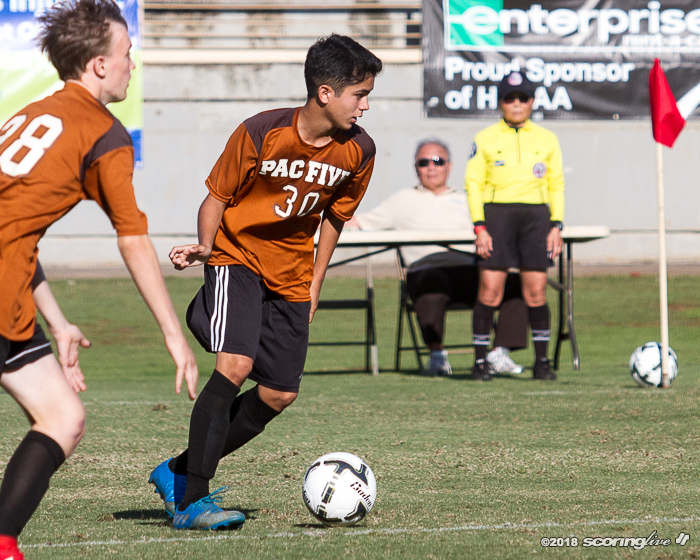 "After (Toci) made that save, he actually put more pressure on PAC-5," coach Waltjen said. "Credit to our captains; they made the decisions themselves, they organized it, came out, did what they had to do." Waltjen said his squad has earned the right to govern itself. "They are mature and I believe in them. They do the things that they've got to do," he said. "Our job as coaches is to train them, give them the tools, tell them what we want them to do and they go ahead and they activate and they just pushed through a very good squad. Us as coaches, we try to deliver and try to get them to do what they gotta do." 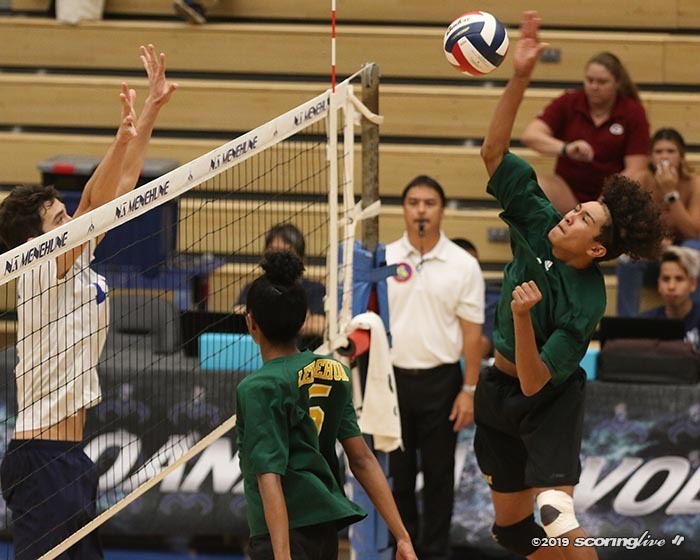 KS-Hawaii lost to Saint Louis in the semifinal round last year. 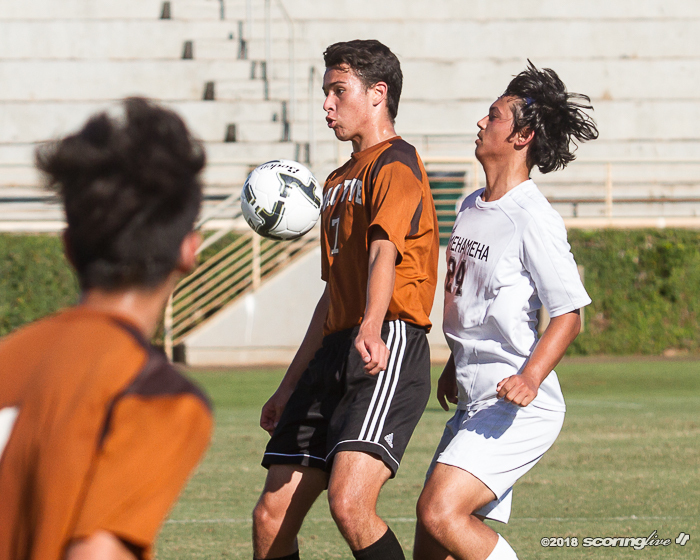 It reached the state title match in each of the previous two seasons, but lost both times. 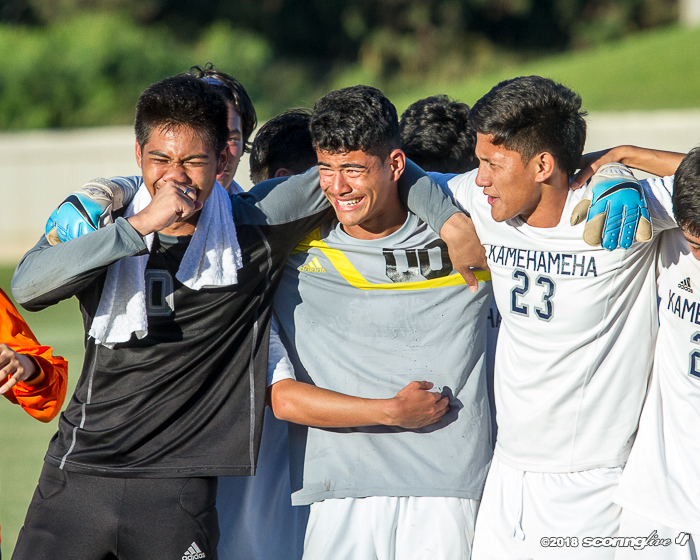 PAC-5 was making its first semifinal-round appearance since 2016, when it lost to eventual-champion Hawaii Prep in double overtime. 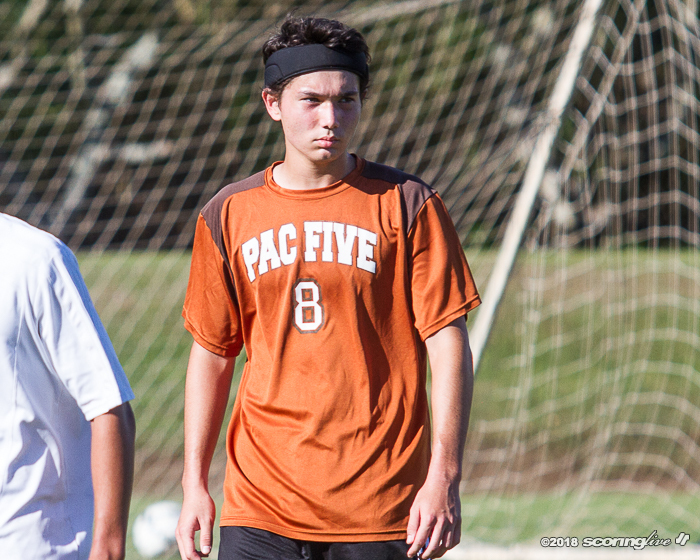 The Wolfpack (4-8-2) conclude their season at 1 p.m. Saturday against McKinley for third place on Field No. 12.